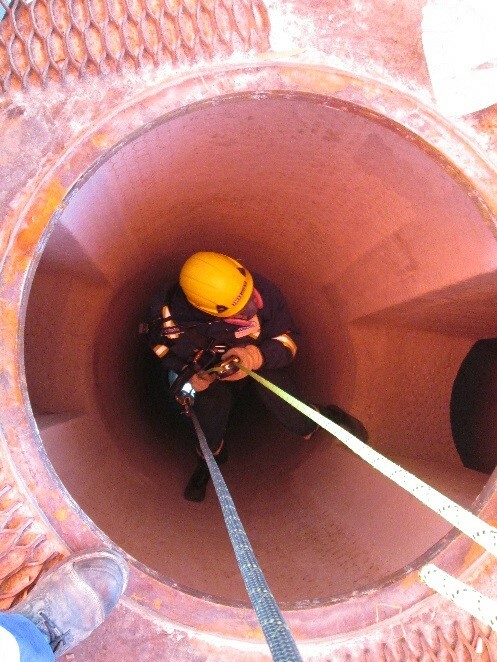 Rope access is an advanced system which allows access to difficult to reach areas. Originally based on Climbing and Caving techniques, it uses specialized harnesses and ropes to ensure that tasks can be carried out with the highest degree of safety and with minimum disruption. It makes inaccessible areas accessible safely and quickly. Safety is #1 with IRISNDT. 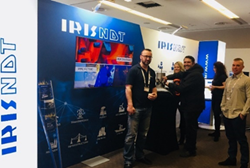 In North America, IRISNDT is a full member of SPRAT (Society of Professional Rope Access Technicians), and in the UK of IRATA (Industrial Rope Access Trade Association), which ensures that we maintain the highest level of safety and training. Our rope access technicians use only the best equipment which is constantly inspected, tested and maintained to meet industry standards. Our two rope system enables our technicians to operate safely in a wide array of industrial and commercial industries. The Industrial Rope Access industry has been able to maintain an excellent “Reportable Incident” rate of less than 0.5 in 100,000 hours worked on the ropes. This is unrivaled in the working at heights industry. The numbers are backed by IRATA through rigorous incident reporting by its member companies. 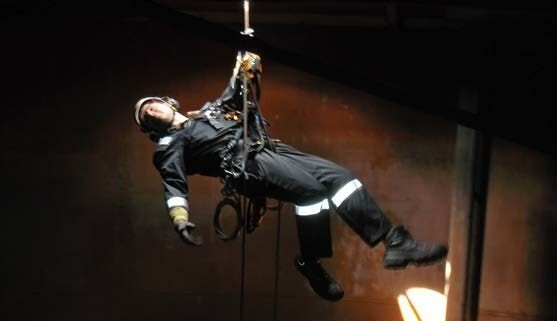 All rope access teams are capable of self-rescue. 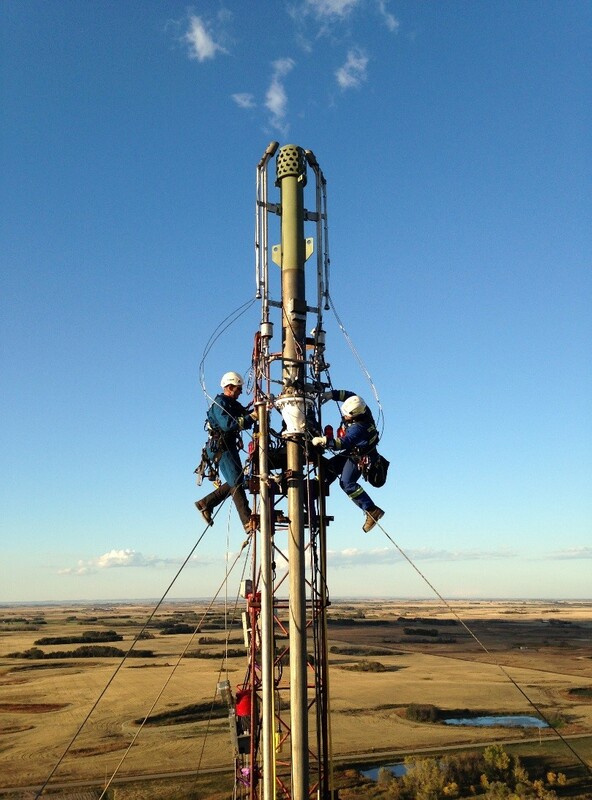 Our technicians only place themselves in positions where they can be rescued by their team if necessary. To ensure we eliminate such events, our rope crews conduct method statement, risk assessment, rescue plans and JSA’s to ensure that all hazards are identified and mitigated. 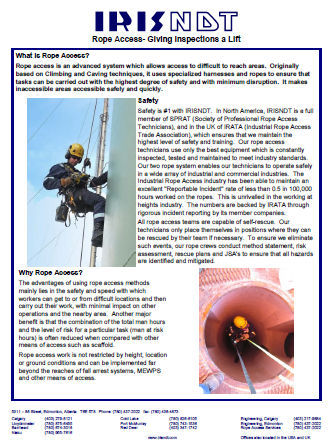 The advantages of using rope access methods mainly lies in the safety and speed with which workers can get to or from difficult locations and then carry out their work, with minimal impact on other operations and the nearby area. Another major benefit is that the combination of the total man hours and the level of risk for a particular task (man at risk hours) is often reduced when compared with other means of access such as scaffold. Rope access work is not restricted by height, location or ground conditions and can be implemented far beyond the reaches of fall arrest systems, MEWPS and other means of access. Rope access teams normally consist of a 3-man independently assessed IRATA/SPRAT crew. 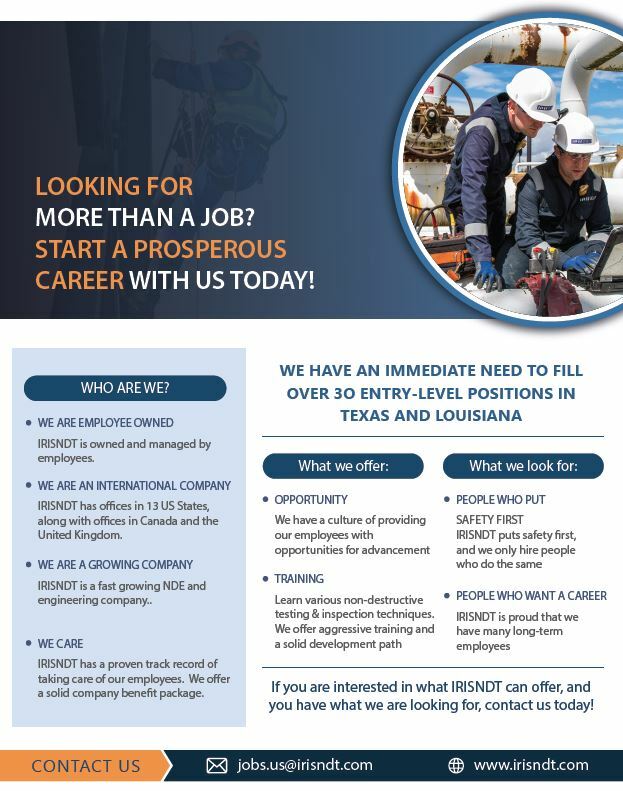 All IRISNDT rope access job sites have an IRATA/SPRAT Level 3 technician to ensure the safety of the operatives. Crew size is often dependent on the complexity of the tasks being performed and the ability to perform self-rescues. 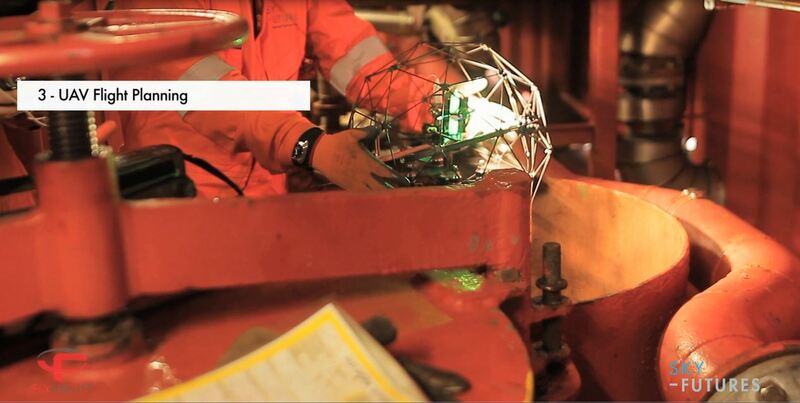 Combining rope access and nondestructive testing has enabled our company to provide some of the most efficient and advanced methods of inspection around today. Manual Ultrasonic Testing, Automated UT Corrosion Mapping, Phased Array Ultrasonics, UT Weld Inspection, Dye and Magnetic Particle Testing, Eddy Current, Radiography, Time of Flight Diffraction Ultrasonics, Alternating Current Field Measurement, Visual Inspection, Guided Wave Pipe Screening, Positive Material Identification, EMAT Pipe Support Scanning, Portable Hardness Testing can all be completed via rope access in hard to reach areas. 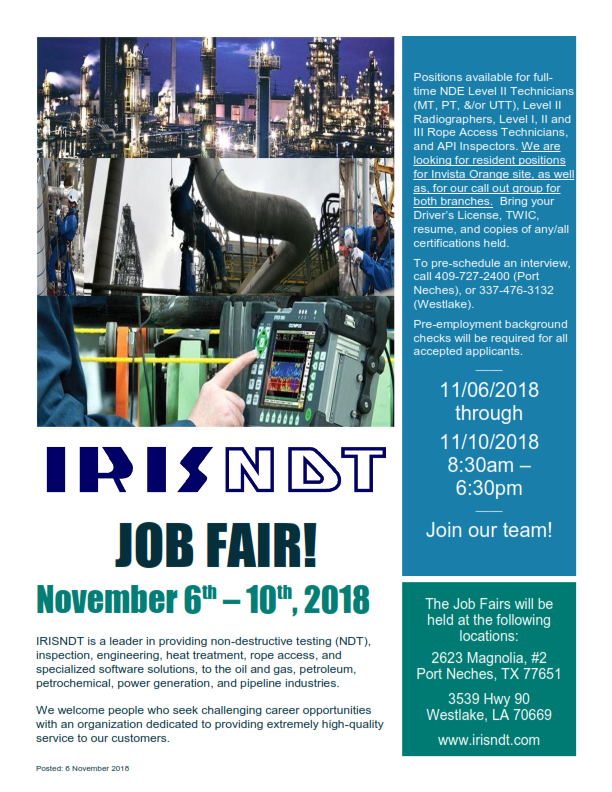 Other services that can be provided include: building repairs and maintenance, cable running, safety jobs such as hazard removal, cleaning, insulation repairs, emergency asbestos work; the list is endless. In certain circumstances it is possible for a non-IRATA/SPRAT trained member of staff to access a job via rope access under very strict supervision of the Level 3 Safety Supervisor. 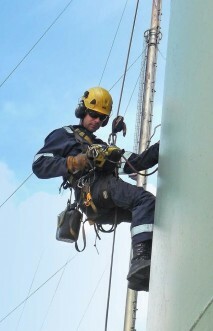 Rope Access – Giving Inspections a Lift.